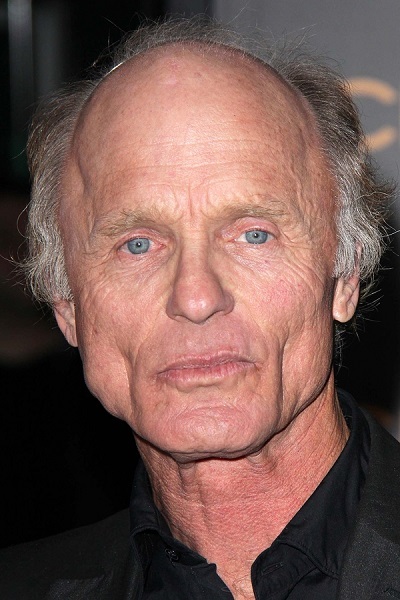 Ed Harris is an American actor, writer, and director. He is married to actress Amy Madigan, with whom he has a daughter. Ed’s paternal grandfather was Robert Lee Harris (the son of William Samuel Harris and Frances M. “Fanny” Jolly). Robert was born in Georgia. William was the son of Benjamin J. Harris and Martha Elizabeth Sharp. Ed’s paternal grandmother was Annie/Anne Aymett Abernathy (the daughter of Robert Allen/Alan Abernathy and Pink Elizabeth Aymett). Annie was born in Tennessee. Robert was the son of John Calvin O. Abernathy and Mary Catherine Tarpley. Pink was the daughter of Hance Hamilton Aymett and Frances Ann Maclin. Ed’s maternal grandfather was William Nace Sholl (the son of Edward Henry Sholl and Helen Raymond Stillman). William was born in Alabama. Edward was the son of William Nace Sholl and Henrietta Wampler. Helen was the daughter of Charles Allen Stillman and Martha Hannah Hammond. Ed’s maternal grandmother was Lily Bell Spencer (the daughter of Sam S. Creglimore and Louisa Barrett). Lily was born in Tennessee. Sam was born in Yorkshire, England. Louisa was the daughter of Samuel Barrett and Vy Hannah.